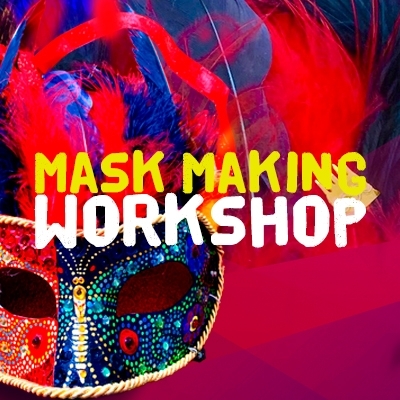 Diego Marcial Rios returns to the MCCLA for this special Spring Mask Making Workshop, just in time for SF Carnaval! Rios will give students a brief history of the origins of Carnaval, from its origins in Italy to its renowned popularity in South America, the Caribbean and beyond. Students will then be able to create their own Carnaval Mask. Materials included. Space is limited.